With all the attention to analytical methods in business management these days, many have forgotten the art and importance of relationship management. This book is a tutorial on building trust between the professional advisor and his or her clients. The most clearly written, practical, and enriching guide to becoming more than you ever thought you could be in any field. Their concept, set in both a historical and future context, makes the book a real gem. Becoming A Life Advisor dramatically expands and enhances the role and value of professionals dealing with their clients. These guys have put over sixty years of experience into a meaningful treatise on how to invest in the stock market. 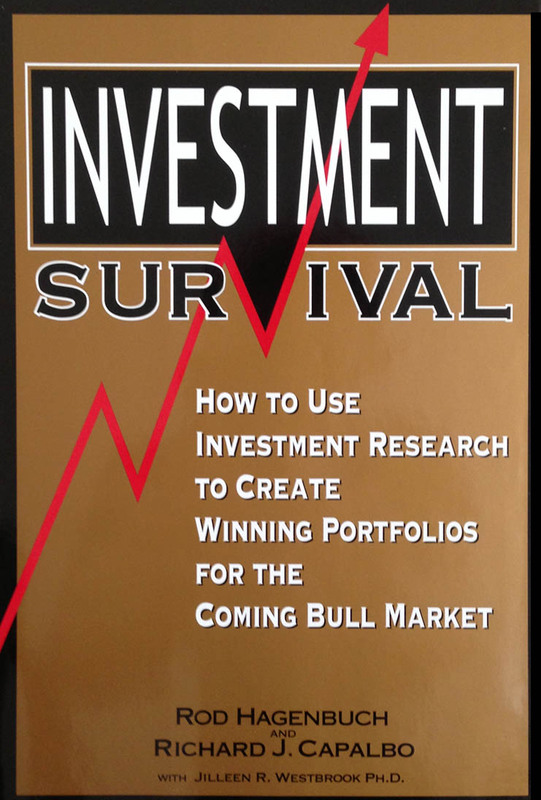 A must-read for serious investors and investment professionals. After all of the investment problems of the past several years, this book provides a comprehensive way to avoid the same mistakes in the future. Investment Survival has been used throughout the industry detailing the proper use of securities research to understand portfolio construction. The Quantum Leap Institute provides leadership, advanced training and consulting in the financial, banking, and insurance industries as well as for non-profit organizations. Founded by Rod Hagenbuch and Richard Capalbo to provide consulting, training, and speaking services for the Financial Services Industry. They have published two books and over 20 training modules and have consulted and lectured throughout the industry; maximizing human potential through years of research, experience, and success. The starting issue for evaluation of Client Service is to recognize that the quality of client satisfaction (see ACSI analysis, University of Michigan) has one of the largest single impacts on a company's or profession's growth and profitability. It is fundamental to the individual’s and company’s success. Good client service is a very broad issue, impacted at many levels for most companies. Problems and solutions are at all levels of a business and exist in every type of business from retail to wholesale and professional services. In most cases, it is not the specific service or product that has as much of an impact on client service as the way that clients are treated at the point of personal contact and delivery. Critical personal interaction can be a result of the individual interacting with a client, CEO-level management within the company, or automated client interactions. All have a major effect on the final client experience and long-term loyalty. │   ├── Presentation followed by discussion groups. │   ├── Facilitation of internal evaluation & strategic planning sessions. │   ├── Company surveys & interviews to evaluate critical areas for improvement of customer service. Frequently, recommendations are made for more extensive internal/outside professional consulting in specialized areas. Client service training by Hagenbuch Consulting is customized to the needs of each client. ... there is always more than one right anwser. Every Financial Advisors business is constrained by the amount of time they have available for client contact. To provide quality service to clients Advisors must meet and talk with clients on a consistent basis. The number of clients an Advisor can provide outstanding service to be limited. Most Advisors have too many accounts and cannot properly service them properly. Each Advisor will work more than a normal 2000/hr working year and do much of the research and preparation outside of normal working hours. The calculator is predicated only on client contact time. The annual amount of time available for client contact. How often the Advisor meets with each key client. How much time is allocated to each client visit. How much phone contact the Advisor makes on a monthly basis in the months they do not meet with each client. To calculate your business, you will determine how much time you need to spend with each client each year and therefore how many households you can provide quality service to. Given the number of clients you can service, you will then be able to determine the average assets per household will need for you to reach your goals based on your ROA on assets. Helping clients beyond the scope of your firm's or organization's specific services or products is a major part of Becoming A Life Advisor. The key to this process is to develop “trusted” relationships with clients, having the skills to properly profile them to know their needs beyond your specialties of services or product. Because of deep client relationships as well as referrals from clients you have helped, clients will often call for information, help, and referrals. It is important to be prepared when they need your help. Much of the expertise they are likely to be in need of may already exist with your current clients, but unless you have had the proper conversation, you will not be prepared and confident that the referral is appropriate or welcome. Making referrals is something that professionals servicing clients often do, but seldom do they do it on a pointed and thoughtful basis. 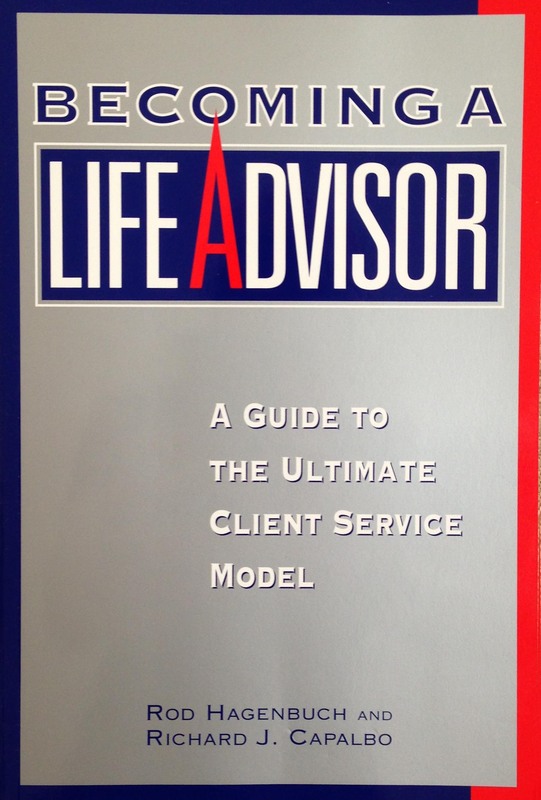 To become a Life Advisor requires building a network list of referral sources. Building the list requires prioritizing what your clients are most likely to need. These needs will most likely be different for Advisors such as legal attorneys, doctors, financial advisors, builders or social workers. Each person must customize their list of referrals to the people they have influence with and their specific client’s needs. We have provided a list of 100 referrals as a starting place for building a referral list. We suggest starting with the likely needs of your clients and your existing relationships — have a conversation with these existing relationships — i.e. when your client needs specific help, you would like to have permission to be able to refer them. This is a conversation, not a question. Our experience is that this is a very important activity, in addition to your profession. Therefore, building this referral list will take time. Professionals that have focused on this activity have normally been able to add one referral a month, so it takes time to do it right. Rod Hagenbuch is a graduate of Michigan State University, completed the Stanford University Executive Marketing Management program, completed the Securities Industry Institute at Wharton, and is a Certified Financial Manager. He has lectured throughout the country on Practice Management, Marketing Strategies, Creating a Positive Office Culture and how to use Securities Research. He has also lectured at the Securities Industry Institute (SII) at the Wharton School of Business at the University of Pennsylvania, at the Anderson Business School and at the Milgard School of Business at the University of Washington-Tacoma. Rod's professional experience includes 32 years in the securities industry with Merrill Lynch as an Institutional Consultant working with Fortune 100 companies, union, state, & municipal retirement funds as well as bank trust departments. He has managed branch offices in Lansing, Michigan, Columbus, Ohio, Tacoma, Washington and the Flagship Los Angeles office. While at Merrill Lynch he served on the Board of Directors of their California Trust Company. He has hired, trained, and managed securities brokers for over twenty years. 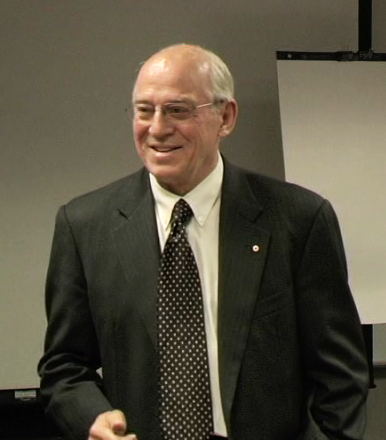 He is author of over a dozen training programs for Managers and Client Service professionals. He has served on over thirty non-profit boards, chairing twelve of them. He has served on the NASDR board in Los Angeles and is a certified arbitrator. He advises several private companies. He has lead, facilitated, and consulted with numerous non-profit organizations on building effective boards, fiduciary responsibilities of boards of directors, marketing, and community involvement.